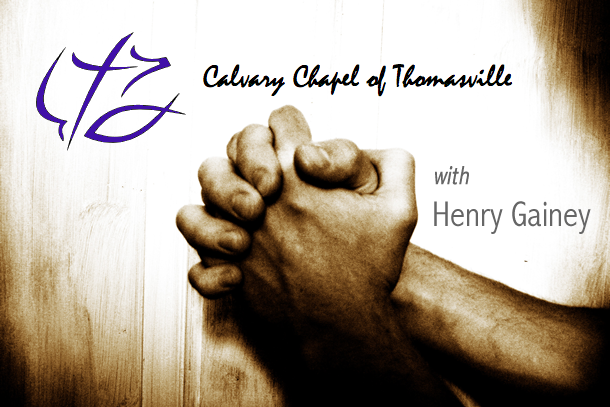 Henry Gainey is the senior pastor of Calvary Chapel of Thomasville, Georgia. He is also a medical doctor specializing in emergency medicine. Dr Gainey conducted afterglow meetings at Calvary Chapel of Costa Mesa, California, during much of the late seventies and now lives with his wife, Gale, in Georgia. Like many of you, I tend to think that my Sunday messages are already pretty well condensed down to the main points when I deliver them. Therefore I was concerned that significant editing would cause them to suffer harm in regard to impact or intelligibility. I’ve always been blessed to hear these studies aired over the radio in such a seamless way, that I myself am unaware that anything has been removed. Denny’s production company, Bridgeport, has been overseeing our radio ministry for some time now. As impressed as I am with the technical expertise of Bridgeport Productions, I am more impressed with Denny’s personal concern to see Jesus honored. Knowing that his heart and vision is to minister, I’m able to trust his judgment and depend upon his insight. He’s a great partner is radio ministry! Bridgeport has done an excellent and professional job producing On The Level… They are very informed and knowledgeable in terms of what is taking place on different radio markets. They have informed and advised us when and how to phase out of some stations that were not fruitful and placing us on stations that have flourished. As result, Bridgeport has expanded our scope of ministry and taken us to a whole new level!